In my new book, Behold Your Mother: A Biblical and Historical Defense of the Marian Doctrines, I spend most of its pages in classic apologetic defense of Mary as Mother of God, defending her immaculate conception, perpetual virginity, assumption into heaven, her Queenship, and her role in God’s plan of salvation as Co-redemptrix and Mediatrix. But perhaps my most important contributions in the book may well be how I demonstrate each of these doctrines to be crucial for our spiritual lives and even our salvation. And I should note that this applies to all of the Marian doctrines. Not only Protestants, but many Catholics will be surprised to see how the Perpetual Virginity of Mary, for example, is crucial for all Christians to understand lest they misapprehend the truth concerning the sacred, marriage, sacraments, the consecrated life, and more. I won’t attempt to re-produce the entire book in this post, but I will choose one example among examples I use to demonstrate why Mary as Mother of God not only matters, but how denying this dogma of the Faith can end in the loss of understanding of “the one true God and Jesus Christ whom [God] has sent” (John 17:3). It doesn’t get any more serious than that! In my book, I use the teaching of the late, well-known, and beloved Protestant Apologist, Dr. Walter Martin, as one of my examples (among others). In his classic apologetics work, Kingdom of the Cults, Dr. Martin, gives us keen insight into why the dogma of the Theotokos (“God-bearer,” a synonym with “Mother of God”) is such a “big deal.” But first some background information. It is very easy to state what it is that you don’t believe. That has been the history of Protestantism. Protestantism itself began as a… you guessed it… “protest.” “We are against this, this, this, and this.” It was a “protest” against Catholicism. However, the movement could not continue to exist as a protest against something. It had to stand for something. And that is when the trouble began. When groups of non-infallible men attempted to agree, the result ended up being the thousands of Protestant sects we see today. Dr. Walter Martin was a good Protestant. 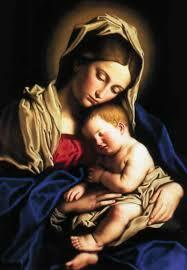 He certainly and boldly proclaimed, “I do not believe Mary is the Mother of God.” That’s fine and good. The hard part came when he had to build a theology congruent with his denial. With Dr. Martin, it is difficult to know for sure whether his bad Christology came before or after his bad Mariology—I argue it was probably bad Christology that came first—but let’s just say for now that in the process of theologizing about both Jesus and Mary, he ended up claiming Mary was “the mother of Jesus’ body,” and not the Mother of God. He claimed Mary “gave Jesus his human nature alone,” so that we cannot say she is the Mother of God; she is the mother of the man, Jesus Christ. [T]here cannot be any such thing as eternal Sonship, for there is a logical contradiction of terminology due to the fact that the word “Son” predicates time and the involvement of creativity. 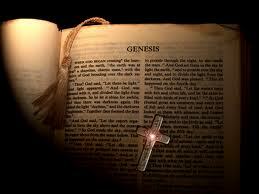 Christ, the Scripture tells us, as the Logos, is timeless, “…the Word was in the beginning” not the Son! From Martin’s perspective then, Mary as “Mother of God” is a non-starter. If “Son of God” refers to Christ as the Eternal Son, then there would be no denying that Mary is the mother of the Son of God, who is God; hence, Mother of God would be an inescapable conclusion. But if sonship only applies to “time and creativity,” then references to Mary’s “son” would not refer to divinity at all. The term “Son” itself is a functional term, as is the term “Father” and has no meaning apart from time. The term “Father” incidentally never carries the descriptive adjective “eternal” in Scripture; as a matter of fact, only the Spirit is called eternal (“the eternal Spirit”—Hebrews 9:14), emphasizing the fact that the words Father and Son are purely functional as previously stated. 2. If Sonship applies only to humanity and time, the “the Son” would also be extrinsic, or outside, if you will, of the Second Divine Person of the Blessed Trinity. Thus, as much as he would have denied it, Dr. Martin effectively creates two persons to represent Christ—one divine and one human. This theology leads to the logical conclusion that the person who died on the cross 2,000 years ago would have been merely a man. If that were so, he would have no power to save us. Scripture reveals Christ as the savior, not merely a delegate of God the savior. He was fully man in order to make fitting atonement for us. He was fully God in order to have the power to save us. 3. This theology completely reduces the revelation of God in the New Covenant that separates Christianity from all religions of the world. Jesus revealed God as he is from all eternity as Father, Son, and Holy Spirit. Dr. Martin reduces this to mere function. Thus, “Father” does not tell us who God is, only what God does. Radical feminists do something similar when they refuse to acknowledge God as “Father.” God becomes reduced to that which he does as “Creator, Redeemer, and Sanctifier” and in the process there is a truly tragic loss of the knowledge of who God is. In the case of Dr. Walter Martin, it was bad theology that led to a similar loss. 4. There is a basic metaphysical principle found, for example, in Malachi 3:6, that comes into play here as well: “For I the Lord do not change.” In defense of Dr. Martin, he did seem to realize that one cannot posit change in the divine persons. As stated above, “fatherhood” and “sonship” would not relate to divinity at all in his way of thinking. Thus, he became a proper Nestorian (though he would never have admitted that) that divides Christ into two persons. And that is bad enough. However, one must be very careful here because when one posits the first person of the Blessed Trinity became the Father, and the second person of the Blessed Trinity became the Son, it becomes very easy to slip into another heresy that would admit change into the divine persons. Later in Behold Your Mother, I employ the case of a modern Protestant apologist who regrettably takes that next step. But you’ll have to get the book to read about that one! The bottom line here is this: It appears Dr. Walter Martin’s bad Christology led to a bad Mariology. But I argue in Behold Your Mother that if he would have understood Mary as Theotokos (“God-bearer”, or, “Mother of God”), it would have been impossible for him to lose his Christological bearings. The moment the thought of sonship as only applying to humanity in Christ would have arisen, a Catholic Dr. Walter Martin would have known that Mary is Mother of God. 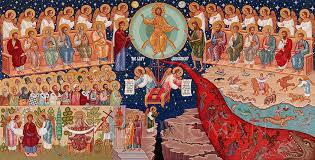 He would have lost neither the eternal Son nor the eternal Father because Theotokos would have guarded him from error. The prophetic words of Lumen Gentium 65 immediately come to mind: “Mary… unites in her person and re-echoes the most important doctrines of the faith.” A true Mariology serves as a guarantor against bad Christology. How Can Mary Hear Thousands Simultaneously?